A marinade is a liquid, typically made of oil and vinegar or wine, or yoghurt, and spices, herbs, and salt, in which meat, fish, poultry or vegetable is soaked before cooking in order to flavour or soften it. Other common marinade ingredients include lemon or lime juice, soy sauce, honey or maple syrup, fruit juices or sauces like tomato or chutneys. The soaking time can vary from 15 minutes to 48 hours depending on what you’re making. The process of soaking is known as marinating. 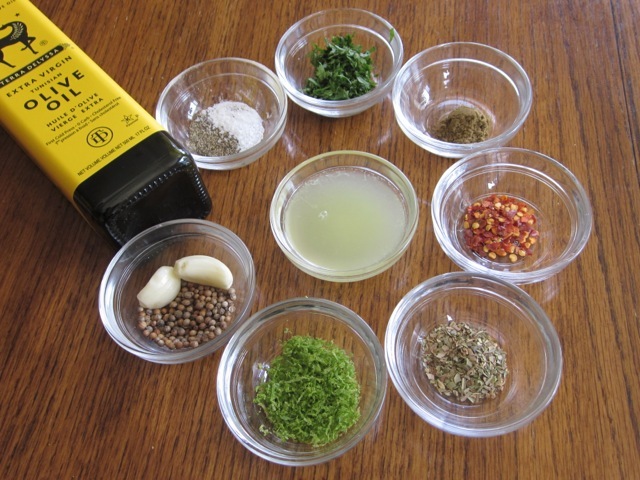 A marinade flavours food, but also softens foods like meat by softening fibres and adding moisture. The food being marinated is placed in a glass, porcelain or glazed earthenware dishes because of the acid. The food being marinated should be turned over from time to time. 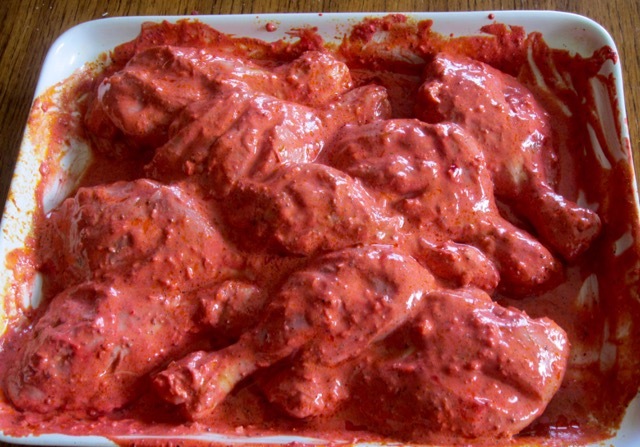 In India, many ingredients are marinated in spiced curdled milk or yoghurt, for example tandoori chicken. Uncooked large cuts of meats and venison may be marinated in a cooked and cooled marinade. Prev What is Madeira Cake?